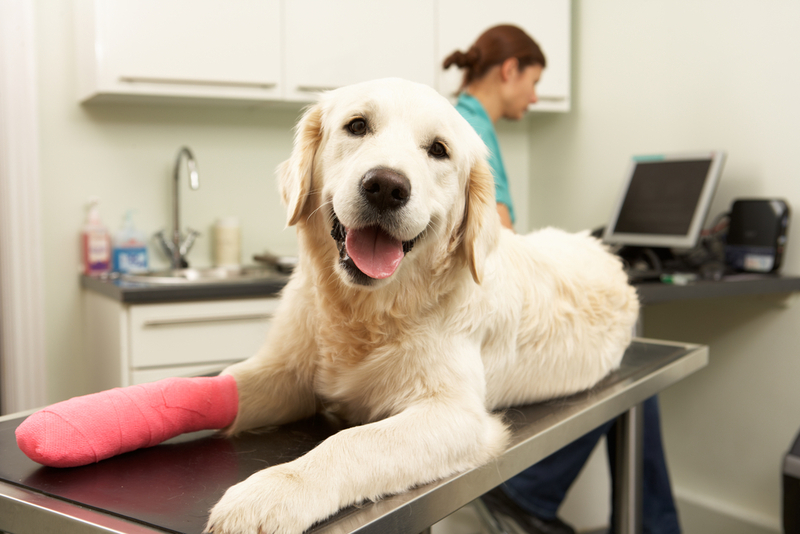 What Are the Most Common Reasons for Pet Surgery? Spaying and neutering are by far the most common surgeries performed on dogs and cats; these procedures are critically important to maintaining their population, and "fixing" your pet also presents valuable benefits for health and behavior, such as reduced risk for many cancers and noticeably reduced aggression. Other common surgeries - particularly in older pets - include oncological procedures to remove tumors, orthopedic procedures to address bone or muscle issues, and the removal of bladder stones. Dogs are susceptible to severe bloating, called gastric dilation volvulus, which requires the stomach to be cleared of gas. And of course, dogs and cats often eat inedible objects that need to be removed. Most invasive procedures do require anesthesia. Fortunately, modern anesthetics represent a significant improvement over the ones used just a few decades ago, and they tend to have a much lighter impact on animals' organs. However, it's still very important to tell your veterinarian about any preexisting problems before the operation, especially if your pet has trouble exercising, because this could indicate a cardiovascular or respiratory problem that anesthesia might worsen. Like humans, every pet will responds to anesthesia differently, so your pet's vital signs will be closely monitored during the procedure to ensure that the dosage is correct. How Can I Help My Pet Recover After the Operation? After a surgery, it's most important to simply let your pet rest and remain diligent with any medication. Be sure to follow all of your veterinarian's instructions, and don't hesitate to mention any unusual behaviors during your follow-up appointment. Pets who receive anesthesia usually take several days to recover, and they commonly don't recognize familiar people and places. Even the gentlest dogs can sometimes act aggressively when recovering from anesthesia, so be careful with young children or other pets. Also, many pets tend to prefer a relatively warm environment in the days after anesthesia, since the drugs can reduce their body temperature. Above all, don't forget that your pet has been through a tough ordeal, and will still need a few days to feel like themselves, both physically and emotionally. The team at Carol Stream Animal Hospital is highly knowledgeable, deeply considerate, and truly passionate about animals. If you're a pet owner in DuPage County, Illinois, we're here to help, whether your pet needs a surgical consultation or a simple wellness checkup. Call us today at (630) 462-7888 to schedule an appointment.